Designed to be the perfect pesticide free solution to pest problems, it is perfectly suitable for both gardens and allotments. 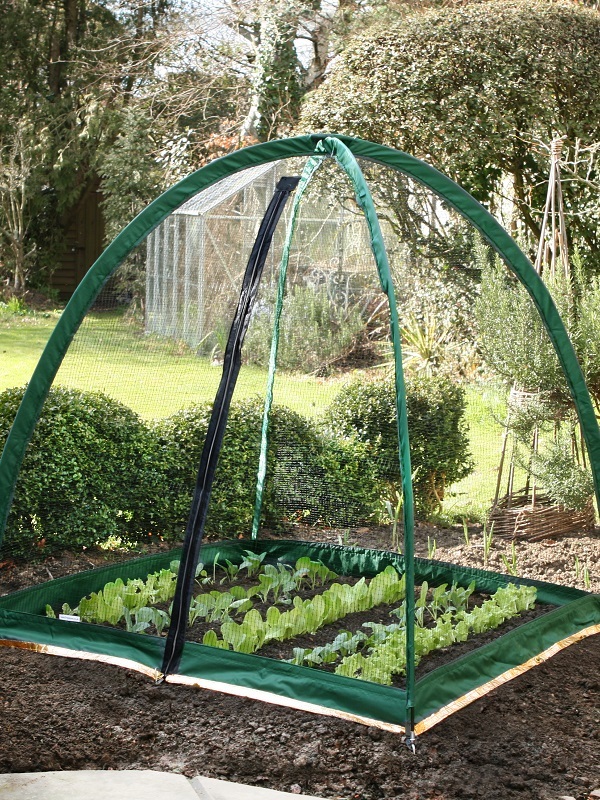 The fine black 10mm square mesh protects your plants from birds, butterflies, chickens, cats and dogs but allows pollinating insects such as bees through. The addition of a sewn copper strip along the base line of all four sides deters slugs and snails. Easily assembled using fibreglass poles and can be anchored to the ground with 8 x 8" pegs (included). Sturdy and lightweight means it is easy to put in place and relocate with an easy access zip one side making the netting into fold back doors. The popadome weighs just over 1kg and comes in a handy carry case for easy and safe storage.